« Consignment & resale promotional ideas are EVERYwhere! Do you think they’re carrying this “Back to School” theme a bit too far? We all appreciate a good sale, but… really? 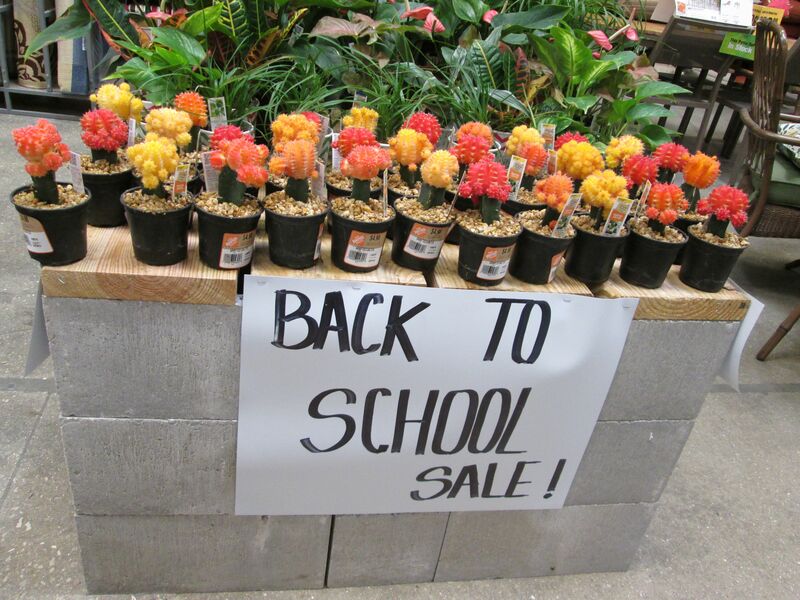 Does every returning student need her or his very own personal blooming cactus? For a little more realistic Back to School advice, HowToConsign.org has a few tips for families.